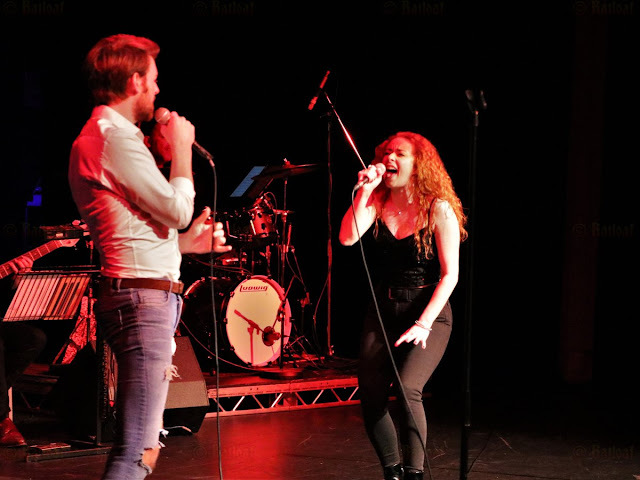 Since the closing of Bat Out of Hell, fans of the show have been able to keep their love and involvement alive through Rob Fowler and Sharon Sexton's album Vision of You which charts the backstory of their characters Falco and Sloane. Accompanying the album, the pair have been on a mini tour around the country where they welcomed fans into the Falco Family and provided some absolutely outstanding vocals while they did it. The final stop on the tour (for now) took Vision of You back to where Rob first performed, Peterborough where a home crowd joined with those from out of town to create a wonderful atmosphere and a real celebration of the music and the performers. A mixture of a concert and a musical, this version of Vision of You used the basic skeleton of the previous ones and added to it to create a complete extravaganza of a show. Once again, Erin Ong (who travelled from America to be part of the final show!) provided her lovely artwork which was projected above the characters to create an almost comic book feeling and embellish the story that was being told. 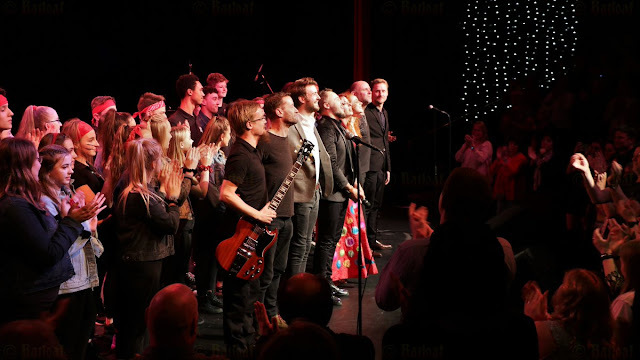 Rob and Sharon performed most of the songs from their album, as well as some extras, with the heart, vocals and chemistry that they are so loved for and took the audience on a journey through the eyes of their characters very well. What made this show extra special, was the involvement of Raven and Strat aka the crazy talented Georgia Carling and Simon Gordon, who performed solos, duets and group numbers to perfection. Also joining the gang were the young KYT performers who gave spirited performances and brought The Lost to life. Accompanied by Steve Corley and his distinguished band, each number was a powerhouse moment and a true celebration of the superbly talented performers on stage. Opening with 'Falling Slowly' and closing with 'The Show Must Go On' really sums up how versatile all the performers on stage are; from the hugely upbeat numbers to the more intimate and delicate numbers, there was never a moment which fell flat or felt under emoted. Both Rob and Sharon's voices are raw and expressive but manage to maintain complete control throughout. Especially impressive were Sharon's heartfelt renditions of 'Delight' and 'The Man with the Child in his Eyes' which brought a stillness to the room that was hauntingly beautiful. 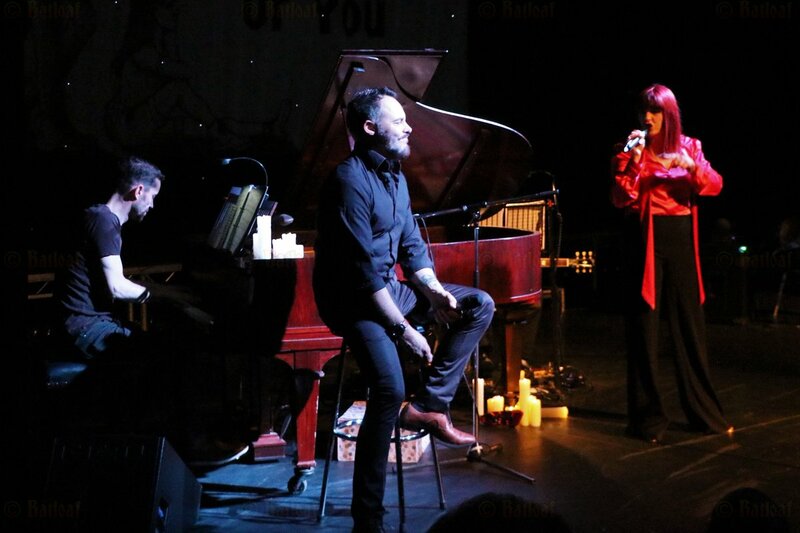 Rob gave a comedic performance of 'A Miracle Would Happen' as well as his signature rock tones in the epic 'What You Own' where he was also joined by Simon Gordon. Simon's voice is beyond beautiful and he showcased it effortlessly with each number he was a part of. His performance of 'Bat Out of Hell' illustrated exactly why he was cast in the role of Strat and gave us a chance to hear and see him shine without the lighting and effects that were prevalent in Bat Out of Hell. If this evening was anything to go by, I'm convinced Simon could probably make a shopping list sound exquisite. Aside from Simon's performance, this semi stripped back rendition of Bat also highlighted just what a brilliant song it is. Georgia Carling's voice complemented Simon's fantastically in their duets, 'For Crying Out Loud' and 'High Enough', as well as shining in her solo and group moments. 'Taking Chances' is a belter of a song and Georgia tacked it with ease as she gave a vocally faultless and completely first-rate performance. After gaining many fans from her performances as Raven and Valkyrie in Bat Out of Hell, there's no doubt that Georgia will continue wowing with her superb talents. Vision of You was a night of extremely well done storytelling and singing. Seeing how much Bat Out of Hell means to Sharon and Rob is really moving and I'm sure this isn't the last we'll hear of Falco and Sloane. The stellar performances, well done lighting, outstanding band, skillful projections and great atmosphere made this a fabulous night and a perfect farewell-for-now to Vision of You.